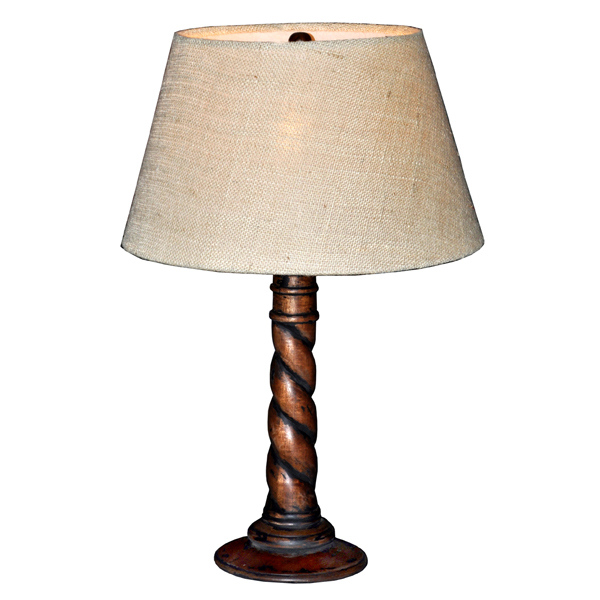 This twisted base lamp is available in two sizes. 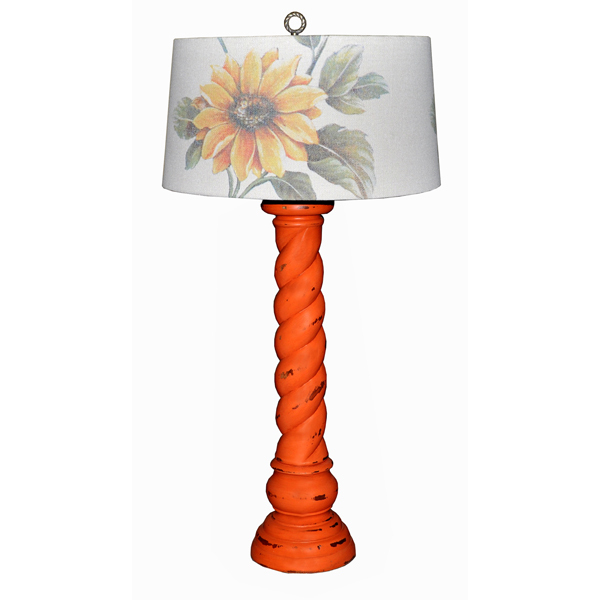 Large (pictured left) shown in Orange Heavy Distressed painted base and Floral Artwork F169 applied on the shade. Small (pictured below) shown in Black Heavy Distressed painted base with French Distressed Premium Finish applied. Light Jute fabric choice is shown on the shade. This design is available in 50 different colors, and you may specify light or heavy distressing. Finish colors applied to lamp base and artwork created on lamp shade. Custom is our specialty. Click on the buttons below to see color and art options.